What Did You Do During the War? ITIL(R) and IT Service Management have been practised successfully around the world for more than 20 years. ITIL(R) is a framework for IT service management and provides best management practice to meet ISO/IEC 20k. It was developed following the recognition that organizations were becoming increasingly dependent on IT to satisfy their corporate aims and meet their business needs. Such dependence leads to an increased requirement for reliable,high-quality IT services. This guide introduces ITIL both to Foundation Examination candidates and to people simply looking to gain a practical understanding of IT service management. Dr Ernest Brewster is a champion of ITIL Service Management. Richard Griffiths is an ISEB examiner. Aidan Lawes is an authority on service management and co-authored ISO/IEC 20000. 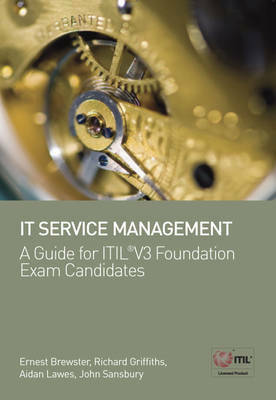 John Sansbury is a Senior ITIL Examiner.